Michiel Boersma (Dutch nationality), Chairman of the Supervisory Board, was Chairman of the Executive Board of Essent N.V. and President of Shell Global Solutions International B.V.
Key supervisory board/ancillary positions: Chairman of the Supervisory Board of PostNL, Chairman of the Supervisory Board of Avantium, member of the Supervisory Board of Electrica S.A. (Romania) and Nynas A.B. (Sweden) and member of the Fugro Protective Preference Shares Trust. Furthermore, Mr Boersma is professor by special appointment in Corporate Governance for utility companies at the TIAS School for Business and Society. 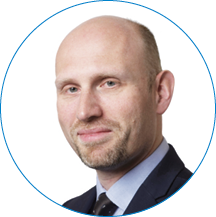 Michiel Boersma is Chairman of the Selection and Appointment Committee and member of the Remuneration Committee. For health reasons, chairman of the Supervisory Board Michiel Boersma, is temporarily unable to perform his tasks for Telegraaf Media Groep N.V. (TMG). During his absence, vice chairman Jan Nooitgedagt, shall be the acting chairman of the Supervisory Board of TMG. Jan Nooitgedagt (Dutch nationality), Vice-Chairman of the Supervisory Board, was CFO and member of the Executive Board of Aegon N.V. from April 2009 to May 2013. Prior to this he occupied various positions at Ernst & Young, including Managing Partner for the Netherlands and Belgium. Key supervisory board/ancillary positions: Chairman of the Foundation Board of Nyenrode, Chairman of the Executive Board of VEUO, Vice-chairman of the Supervisory Board of BNG Bank N.V. and member of the Supervisory Board of Robeco Institutional Asset Management (RIAM) and Rabobank, member of the Management Board of the Kasbank Share Administration Trust, member of the AFM’s Financial Reporting and Accountancy Committee and member of the Audit Committee of the Ministry of Security and Justice. 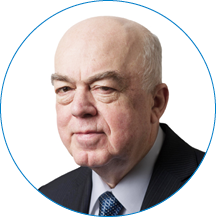 Jan Nooitgedagt is Chairman of the Audit Committee and of the Remuneration Committee, and member of the Selection and Appointment Committee. 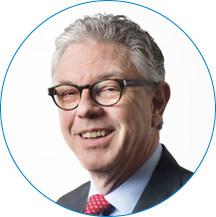 Guus Van Puijenbroek (Dutch nationality), Secretary of the Supervisory Board, is Director of VP Exploitatie N.V., Havep Holding B.V. and Bech N.V.
Key supervisory board/ancillary positions: member of the Supervisory Board of Batenburg Techniek B.V., member of the Supervisory Board of Billboard Technology Industries N.V. and member of the Supervisory Board of Koninklijke Van Puijenbroek Textiel. Guus van Puijenbroek is member of the Audit Committee, the Remuneration Committee, and the Selection and Appointment Committee. Annelies van den Belt -Jansen (Dutch nationality) is director and founder of Anhalt Media. She held positions as CEO of Findmypast.com and of SUP Media, Managing Director of ITV Broadband, Chief Digital Director of Telegraph Media Group Limited, Director Digital at News international, London, UK and Publisher of Independent Press Moscow Russia. First term of appointment: 2014-2018. Key supervisory board/ancillary positions: non-executive director at CultureWhisper and director at Waterside point. 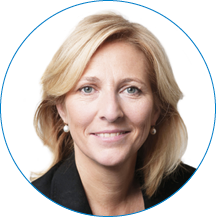 Annelies van den Belt is member of the Audit Committee and, in connection with the absence of Michiel Boersma since 1 February 2017, (acting) member of the Remuneration Committee and the Selection and Appointment Committee. Simone Brummelhuis (Dutch nationality) is Director of TheNextWomen (Crowd Fund). Prior to this she occupied various positions, including at Europe Astia (Vice President), IENS (Director) and the Loeff Claeys Verbeke law firm. Key supervisory board/ancillary positions: member of the Supervisory Board of Stern N.V., Non-executive Director Annona Investment Fund, member of the Advisory Council of Lendahand BV, Storecove BV, Augeo and the Erasmus Centre for Entrepreneurship (ECE) at Erasmus University, Supervisory Board Innovation Sessions Knowledge Partner Hemingway Programme. 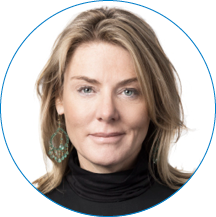 Simone Brummelhuis is member of the Audit Committee, the Remuneration Committee, and the Selection and Appointment Committee. In the year under review, the Executive Board consisted of Messrs G-J.E. van der Snoek (CEO) and L.N.J. Epskamp (CFO), who were responsible for the daily management of the company. On March 5, 2017, the Executive Board was suspended; this suspension is explained in detail in the Report of the Supervisory Board. Telegraaf Media Group (TMG) is a company and that has what is known as a two-tier Board, consisting of the Executive Board and the Supervisory Board. The Executive Board and the Supervisory Board are responsible for the company’s corporate governance structure. This section provides an overview of the corporate governance structure. The Executive Board and the Supervisory Board endorse the principles of the Dutch Corporate Governance Code (the Code). TMG does not allow shareholders to vote remotely in the General Meeting of Shareholders. In principle, shareholders should attend the meeting in order to be able to discuss matters with other shareholders present and thus form an opinion. The Executive Board is appointed by the Supervisory Board. The General Meeting of Shareholders is informed of any planned appointments. A member of the Executive Board is not dimissed by the Supervisory Board before the General Meeting of Shareholders has been consulted about the planned dismissal and the member of the Executive Board has been given the opportunity to answer to the General Meeting of Shareholders. Unless specified otherwise in the provisions of the articles of association, the Executive Board is responsible for the management of the Company, which includes responsibility for the realisation of the company’s objectives, strategy and policy, and the development of the results arising from this. The Executive Board may comprise one or more members. The number of members is determined by the holders of priority shares. The members of the Executive Board of TMG are employed on the basis of a four-year engagement contract (in accordance with the Code’s provisions), which can be terminated early by either party, subject to three months’ notice. They are appointed as statutory directors of TMG for coinciding four-year periods. The engagement contract each time terminates by operation of law upon the expiry of a four-year period. At least six months prior to the expiry of the aforementioned four-year term, TMG shall inform the Executive Board member by e-mail or in some other written form as to whether or not the engagement contract will be continued after the expiry of the four-year period. In the event that such notice is not provided, the engagement contract will not be continued after the expiry of the four-year period. The Supervisory Board supervises the Executive Board’s policies and the general course of affairs of the company. Furthermore, the Supervisory Board assists the Executive Board with advice, both at the request of the Executive Board and on its own initiative. The Supervisory Board comprises at least three natural persons who are appointed by the General Meeting of Shareholders on the recommendation of the Supervisory Board. The recommendations are based on a publicly available profile prepared by the Supervisory Board concerning its size and composition. The profile takes into account the nature of the company, its activities and the desired expertise and background of the Supervisory Board members. The General Meeting of Shareholders and the Central Works Council can recommend individuals for nomination as member of the Supervisory Board. The Central Works Council has an ' enhanced right of recommendation' for a third of the members of the Supervisory Board. The number of supervisory board memberships of each Supervisory Board member is restricted by law and cannot be more than five. Chairmanship of a supervisory board counts as two memberships. This number of five pertains to 'large' companies having their seat in the Netherlands. Membership on the Supervisory Board or the Executive Board of a foreign company does not count towards this number. The AGM is held within 6 months after the end of the financial year. The AGM’s agenda includes the Annual Report, the adoption of the Financial Statements, the dividend policy and the policy on reserves, and a proposal concerning the appropriation of profit. In addition, the meeting will vote on granting discharge to the members of the Executive Board and to the members of the Supervisory Board. Shareholders or holders of depositary receipts for shares that represent at least one percent (1%) or a value of at least € 50 million or more can request that an item be added to the agenda. Such requests shall be granted, provided that they are submitted in writing and are received by the Executive Board or the Supervisory Board no later than on the sixtieth day prior to the AGM and there is no compelling reason for TMG for not doing so. Extraordinary meetings of shareholders are convened as often as considered desirable by the Executive Board or the Supervisory Board. Every shareholder and holder of depositary receipts for shares can attend the AGM and speak at this meeting. Every shareholder with voting rights and every usufructuary of shares having voting rights is authorised to attend the AGM, speak at this meeting and exercise their voting rights. appropriate the profit after payment of the dividend on any outstanding preference shares and on the priority shares, and after a decision has been taken by the Executive Board and the Supervisory Board, subject to approval by the priority shareholders, concerning the transfer of the profit or a part thereof to reserves. TMG's share capital consists of ordinary shares, priority shares and preference shares. All issued priority shares are held by the Telegraaf Media Groep N.V. Priority Share Management Trust. See the ‘Telegraaf Media Groep N.V. Priority Share Management Trust’ section below for additional information on its key rights and powers. In 1984, TMG entered into an agreement to grant a call option to the Telegraaf Media Groep N.V. Preference Shares Trust under which the Trust has the right to acquire preference shares in TMG at any time. See the ‘Telegraaf Media Groep N.V. Preference Shares Trust’ section below for a detailed description of this right. Depositary receipts for shares have been isssued for 63.6% of TMG’s outstanding ordinary shares with the co-operation of TMG. The Telegraaf Media Groep N.V. Share Administration Trust administers the ordinary shares for which convertible bearer depositary receipts have been issued and exercises the rights, including the voting rights, attaching to them. Holders of depositary receipts may obtain a voting proxy for the duration of a General Meeting of Shareholders from the Board of this Trust. Consequently, the issue of depositary receipts for shares does not constitute an anti-takeover measure for TMG. The Annual Report of the Telegraaf Media Groep N.V. Share Administration Trust is presented under Other Information. The General Meeting of Shareholders can designate the body made up of the priority shareholders as the competent body authorised to issue shares and exclude pre-emptive rights. The AGM of 21 April 2016 designated the priority shareholders as the competent body authorised to decide on the issue of shares excepting pre-emptive rights, including the granting of rights to acquire shares. This authority has been granted until 21 October 2017 and covers all unissued ordinary shares up to a maximum of half of the authorised capital, now or at some future date. If the authority to issue shares and exclude pre-emptive rights is not granted to the priority shareholders, the General Meeting of Shareholders can only resolve to issue shares or designate another body competent to issue shares on the recommendation of the priority shareholders. The company’s own shares can only be repurchased if the General Meeting of Shareholders has authorised the Executive Board accordingly in compliance with the provisions in the articles of association. The AGM of 21 April 2016 authorised the Executive Board to repurchase company shares or depositary receipts for shares on the stock exchange or otherwise, for a period of eighteen months. The authorisation is limited to at most one tenth of the share capital in issue on the date of the AGM in 2016 at a price not lower than the nominal value and not higher than 10% above the average closing prices of the depositary receipts for ordinary shares published in Euronext Amsterdam Official List in the five consecutive trading days prior to the date of purchase. Each year the Executive Board determines, subject to the approval of the Supervisory Board and the priority shareholders, the part of the profit that will be transferred to the reserves. Profit is distributed after the adoption of financial statements showing that the distribution is permissible in compliance with all applicable laws and regulations. If preference shares are in issue, a preference dividend is paid from the profit remaining after the transfer to the reserves as specified in Article 33.2 of the articles of association of TMG. A dividend of 5% of the nominal value of their shares is then paid to the priority shareholders (the nominal value of a priority share is €0.25). The profit then remaining is at the disposal of the General Meeting of Shareholders. No additional dividend may be paid from this amount on the priority shares and the preference shares. If a loss is incurred in any one year, no dividend is paid for that year. In addition, a dividend may only be paid in subsequent years after sufficient profit has been made to cover the loss. The General Meeting of Shareholders may, however, resolve, on a proposal by the priority shareholders, to extinguish a loss against the freely distributable portion of equity or to make a dividend payable from the distributable portion of equity. The Executive Board, subject to the approval of the Supervisory Board and the priority shareholders, may resolve to pay an interim dividend in accordance with the provisions of Article 33.9 of the articles of association of TMG. The General Meeting of Shareholders may resolve, on a proposal by the priority shareholders, to amend the articles of association or to undertake a legal merger or demerger by a simple majority. The TMG Priority Share Management Trust (‘Priority Trust’) holds all of the issued priority shares in the capital of TMG. The object of the Priority Trust is to acquire and manage the priority shares in TMG and, partly on this basis, to ensure continuity in the management of TMG, ward off any influences on the management that could affect TMG’s independence in conflict with its interests and to promote sound policy in the interests of TMG. The Management Board of the Priority Trust consists of Guus van Puijenbroek, Arend Vos, Michiel Boersma and Jan Nooitgedagt. The Priority Trust’s Management Board appoints its own members. In principle, only holders of a 5% interest in TMG and affiliated persons are eligible for a seat on the Management Board. The Management Board may grant an exemption from this qualification criterion. If the shareholders with delegates on the Management Board no longer represent more than 30% of the ordinary share capital of TMG, only members of the Executive Board and the Supervisory Board of TMG can serve as a members of the Management Board of the Priority Trust. rights to make non-binding recommendations. the Priority Trust can make a non-binding nomination for two members of the Board of the Telegraaf Media Groep N.V. Share Administration Trust after consulting the Supervisory Board and Executive Board of TMG. The object of the Telegraaf Media Groep N.V. Preference Shares Trust (‘TMG Preference Shares Trust’) is to protect the interests of TMG and its affiliated companies, including taking such measures as required to protect to the maximum possible extent against influences that could threaten continuity, independence or identity. It also has the object to protect against the influence of third parties that could affect editorial independence and the principles that serve as the basis on which the opinion-forming publications of the companies within the TMG group are edited. The Management Board of the TMG Preference Shares Trust met three times during the year under review. During these meetings, the CEO and the CFO provided information on the current state of affairs, financial reporting and the relationships with shareholders of TMG. During the two-month period up to the end of the year under review, the TMG Preference Shares Trust obtained regular information on developments at TMG. In 1984, TMG entered into an agreement to grant a call option to the TMG Preference Shares Trust which sets out the conditions under which the call option can be exercised. The TMG Preference Shares Trust is entitled to exercise this option in whole or in part at any time. To do this, the TMG Preference Shares Trust has the right to acquire at most as many preference shares in the capital of TMG that correspond to 50% of the total number of ordinary shares in TMG in issue. Once the preference shares have been issued to the TMG Preference Shares Trust, it has the right to require TMG to submit a proposal to the General Meeting of Shareholders to withdraw all the preference shares held by the TMG Preference Shares Trust. Any such withdrawal of preference shares does not affect the right of the TMG Preference Shares Trust to exercise the call option again after the withdrawal. On 28 March 2008, TMG granted the TMG Preference Shares Trust the authority to submit a request for an inquiry pursuant to Section 2:346(1)(e) of the Netherlands Civil Code. The TMG Preference Shares Trust determines independently, in accordance with its objects and in compliance with the applicable law, if, when and to what extent it will exercise the call option. The Management Board of the TMG Preference Shares Trust currently comprises: Hessel Lindenbergh (chairman), Harry Bruijniks (vice-chairman), Jan Pieter Witsen Elias (secretary) and Carla Sieburgh. The Decree of 5 April 2006 to implement Article 10 of Directive 2004/25/EC of the European Parliament and the Council of the European Union of 21 April 2004 on takeover bids imposed additional regulations on the content of annual reports pursuant to the Takeover Directive. The prescribed information and where it can be found in the annual report and the responses relating to the requested information are listed below. See the Corporate Governance section on our corporate website for further information on this subject. Information required under the "Takeover Directive"
The capital structure of the company, the different classes of shares and associated rights and obligations and the percentage of the issued capital represented by each class. Any restrictions by the company on the transfer of shares or depositary receipts for shares issued with the co-operation of the company. Holdings in the company for which a reporting obligation exists pursuant to Sections 5:34, 5:35 and 5:43 of the Financial Supervision Act. Special control rights attaching to shares and the names of the entitled parties. The system of control of any scheme granting employees the right to subscribe to or acquire shares in the capital of the company or a subsidiary where the control is not exercised directly by the employees. TMG has not granted employees the right to subscribe to or acquire shares in the capital of the company or a subsidiary where the control is not exercised directly by the employees. Any restrictions on voting rights, the deadline for exercising voting rights and the issuing of depositary receipts for shares with the company's co-operation. Any agreements with a shareholder which are known to the company that may result in restrictions on the transfer of shares or depositary receipts for shares issued with the co-operation of the company or restrictions on voting rights. As far as TMG is aware, TMG’s shareholders are not party to an agreement that may result in restrictions on the transfer of shares or depositary receipts for shares issued with the co-operation of the company or restrictions on voting rights. The rules governing the appointment and replacement of members of the Executive and Supervisory Boards and amending the articles of association. The powers of the directors, in particular the power to issue and buy back shares in the company. Significant agreements to which the company is a party and which take effect, alter or terminate on a change of control of the company following a takeover bid as meant by Section 5:70 of the Financial Supervision Act, and the effects of such agreements, unless the agreements or their effects are such that their disclosure would be seriously prejudicial to the company. TMG is not a party to agreements which take effect, alter or terminate on a change of control over TMG following a takeover bid. Any agreements between the company and a director or employee that provides for copmensation upon termination of service resulting from a takeover bid as meant by Section 5:70 of the Financial Supervision Act. TMG has not entered into agreements with the members of the Executive Board or other employees that could grant those persons rights to compensation upon termination of service after settlement of a takeover bid for shares in TMG. The Supervisory Board of TMG supervises the policies of the Executive Board of TMG and the company's general state of affairs. Furthermore, the Supervisory Board assists the Executive Board with advice, at the request of the Executive Board, as well as on its own initiative. In this report, the Supervisory Board accounts for the manner in which it exercised its task as internal supervisor. The Supervisory Board resolved to suspend both members of the Executive Board with immediate effect on 5 March 2017. In accordance with TMG’s articles of association, the Supervisory Board is temporarily performing the executive functions. The Supervisory Board consists of Michiel Boersma (Chairman), Jan Nooitgedagt (Vice-chairman), Guus van Puijenbroek (Secretary), Annelies van den Belt and Simone Brummelhuis. As such the composition to the Supervisory Board meets the provision that at least 30% of board members must be male and at least 30% must be female. The Supervisory Board also complies with the independence criteria of Best Practice Provision III 2.1 of the Corporate Governance Code. Mr Guus van Puijenbroek is considered a non-independent supervisory director in accordance with the aforementioned criteria. During the Annual General Meeting of Shareholders held on 20 April 2016, Guus van Puijenbroek, Secretary of the Supervisory Board, was reappointed for a second term. The term of Jan Nooitgedagt expires in 2017. Jan Nooitgedagt is available for reappointment. Last year, the Supervisory Board, together with the Executive Board, devoted a great deal of attention to the company's continued focus on and implementation of the 24/7 strategy. The 24/7 strategy focuses on developing and distributing relevant content for all consumers as they would like to have it (everywhere, always, all conceivable distribution channels) and on further increasing the reach of TMG's main brands. By focusing on these brands and reinforcing their reach, and at the same time moving towards more multi-cross-media revenue models, the company responds to the changing media consumption patterns. The Supervisory Board, together with the Executive Board, held separate extensive strategy sessions on these subjects in June and September 2016. In addition, in the first half of 2016, the Supervisory Board devoted a great deal of attention to the strategic partnership with Talpa relating to radio activities. The relaxation of restrictions on the ownership of national commercial radio stations effective 1 January 2016, created an opportunity for exploring a partnership with Talpa. On 30 September 2016, this resulted in a merger of TMG's Sky Radio and Veronica radio stations with Talpa's Radio 10 and Radio 538 radio stations. By means of its minority interest and its seat on the Supervisory Board, TMG remains closely involved in this new radio and music entertainment company and this way benefits from the increased reach among the different target groups. The other strategic partnership with Talpa concerns the construction and development of an OTT (over-the-top) platform as a means of improving TMG's position relating to OTT content channels and developing an independent digital revenue model this way. This partnership is in line with TMG's 24/7 strategy and the Supervisory Board also explored this subject in-depth. The Supervisory Board paid a great deal of attention to the persistent declining advertising revenue trend in 2016. To better prepare the organisation for the future requires a recovery of core activities and further cost reductions and organisational restructurings. In 2016, the restructuring of the printing facilities initiated in 2015 was completed and various new restructuring initiatives were started up and announced, including the restructuring of the B2B sales departments, the B2C marketing and product development departments, and the move (and closing) of the HMC head office to Amsterdam. Many jobs were lost during these reorganisations. It goes without saying that the Supervisory Board devoted a great deal of care, time and attention to this. Other key items that were prominent on the Supervisory Board's agenda were risk management, performance management, the status of the ICT environment and sustainability. On 14 December 2016 and on 23 January 2017, TMG announced that it received an unsolicited, non-binding and conditional proposal from Mediahuis and VP Exploitatie, and Talpa Holding N.V., respectively, for the acquisition of all issued and outstanding depositary receipts and shares of TMG. The Supervisory Board and the Executive Board, together with their financial and legal advisors, assessed the proposals with the utmost care in comparison to the independent strategy and any potential strategic alternatives. The Supervisory Board and the Executive Board regularly met outside regular meetings to discuss these proposals, both in the presence and in the absence of their financial and legal advisors. In addition, the Supervisory Board also met in the absence of the Executive Board. In this respect the Board always specifically took the interests of all stakeholders, including the shareholders, into account. Supervisory Board member Guus van Puijenbroek is also Director of VP Exploitatie, which together with Mediahuis is preparing a bid for TMG. In view of this cumulation of interests, in 2016, from the moment that TMG became aware of the preparation of an intended bid, Guus van Puijenbroek no longer participated in the meetings of the Supervisory Board and its committees with the exception of one meeting (where he did not participate in the deliberations relating to the intended bid). At the of end December 2016, Guus van Puijenbroek continued to participate in the meetings of the Supervisory Board and its committees, with the exception of any deliberations and decision-making processes relating to potential bids for TMG. Ultimately, the Supervisory Board was forced to take an exceptional measure in the form of the suspension of the members of the Executive Board. Although we regret this exceptional decision, we believe that, in the interest of TMG, it was inevitable. During the process, it became apparent that there was a clear difference of opinion between the Executive Board and the Supervisory Board about what course should be taken. The Executive Board's failure to comply with a number of agreements endangered the negotiations regarding the offer made by Mediahuis and VP Exploitatie. As a consequence, the Supervisory Board lost absolute confidence in the Executive Board and felt obliged to initiate the suspension. In connection with the conditional agreement that TMG, Mediahuis and VP Exploitatie entered into on 5 March 2017, Talpa Beheer B.V. and Dasym Investments II B.V. applied to the Enterprise Chamber of the Amsterdam Court to take immediate relief measures, to institute an investigation into the course of events at TMG and to appoint an independent supervisory director. The Enterprise Chamber made a provisional judgement on 21 March 2017, ruling that there were no valid grounds to doubt proper policy-making or the course of events at TMG. It dismissed all requests to impose immediate measures. The request submitted by the suspended members of the Executive Board of TMG to lift their suspension was also dismissed by the Enterprise Chamber. The date of the session during which the request to order an inquiry will be addressed, has not yet been determined. During the past year, the Supervisory Board met nine times with the Executive Board during regularly planned meetings, one of which was by phone. In addition to the regularly planned meetings, there were three additional meetings with the Executive Board, one of which was by phone. The percentage of attendance at meetings of the Supervisory Board was 95%. In addition, the Supervisory Board met eight times in the absence of the Executive Board. These meetings generally took place either before or after the end of the regular meeting of the Supervisory Board. Generally, the purpose of these meetings was to briefly review the agenda and to establish the key areas of focus. In addition, the meetings focused on the composition and performance of the Executive Board and the Supervisory Board, as well as the implementation of the strategy. The Audit Committee is a permanent and preparatory Committee of the Supervisory Board. The Audit Committee consists of Jan Nooitgedagt (Chairman), Guus van Puijenbroek, Annelies van den Belt and Simone Brummelhuis. The Audit Committee held six regular meetings with the Executive Board, the external auditor Deloitte and TMG’s staff heads of Internal Audit, and Corporate Finance and Administration. One of these meetings was conducted by phone. The Audit Committee also met with the external auditor Deloitte in the absence of the Executive Board. Following the end of the regular meetings, the Audit Committee met six times in the absence of the Executive Board. Attendance at these meetings was 96%. The non-exclusive list of topics discussed during these meetings included the annual, semi-annual and quarterly figures of TMG, press releases, the strategic partnership with Talpa, the internal risk management and control system and its implementation, the status of the operational and strategic risk management (also see the chapter on Risk Management), the audit results and the follow-up of earlier audits, the management letter, the internal audit findings and the follow-up on noted areas for improvement, the cash flow forecast and the 2017 budget estimate. In addition, the lack of sufficient automated controls and the In Control Statement were discussed. Specific topics that were also discussed during these meetings were the adjustment of the bank financing, the realisation of tax-deductible losses and the possible impairments of good will, intangible assets and the fiscal risks. The fiscal risks refer to fiscal compliance, status, risk & control and the fiscal strategy. The Remuneration Committee is a permanent and preparatory Committee of the Supervisory Board. The Remuneration Committee consists of Jan Nooitgedagt (Chairman), Michiel Boersma, Guus van Puijenbroek and Simone Brummelhuis. The Remuneration Committee met six times in 2016. Attendance at these meetings was 96%. The non-exclusive list of topics discussed during the meetings included the remuneration of the Executive Board for 2016, the objectives for the variable short-term remuneration component for the collective Executive Board and the individual members of the Executive Board for 2016. For additional information about the activities of this Committee please see the Remuneration Policy of TMG. The Selection and Appointment Committee is a permanent and preparatory Committee of the Supervisory Board. The Selection and Appointment Committee consists of Michiel Boersma (Chairman), Jan Nooitgedagt, Guus van Puijenbroek and Simone Brummelhuis. The Committee met three times in 2016. Attendance at these meetings was 80%. During the meetings, the Committee extensively focused on top management and succession planning within TMG. During this review an assessment was made to determine which persons could potentially qualify for various key positions within TMG. In addition, attention was devoted to the competencies employees should have in view of the developments within TMG, the appointment/reappointment of Guus van Puijenbroek, the regular evaluation of the individual Supervisory Board members and the members of the Executive Board. Each year, the Supervisory Board evaluates its performance and the performance of the separate Committees of the Supervisory Board. The performance of the individual Supervisory Board members was also evaluated. In this evaluation, due consideration was given to the supervisory vision formulated by the external consultant in 2015, and the recommendations that arose from it. The general conclusion was that the performance of the Supervisory Board and its committees is satisfactory. During the year under review, in the absence of the Executive Board, the Supervisory Board discussed the performance of the Executive Board as a collegial body, as well as the performance of the individual members of the Executive Board. The conclusions of the evaluation were discussed with the Executive Board. In 2016, members of the Supervisory Board attended two consultative meetings between the Executive Board and the executive board of the Central Works Council (CWC). Topics for discussion among others included the figures, the current and expected reorganisations, and the general state of affairs. During the year under review, several informal meetings were held between a member or members of the Supervisory Board and the Chairman or executive board of the CWC. At the request of the Supervisory Board, the Executive Board invites the management of one of the business units to a meeting of the Supervisory Board. The management gives a presentation about its business unit and after this is available for discussion and questions. In 2016, among others, there were presentations about the IT environment, OTT, the Sales organisation, the way in which TMG handles data, the editorial board and sustainability. In addition, the Chairman and the Vice-chairman of the Supervisory Board and the other members regularly informally meet with the CEO and CFO, as well as with specific staff heads, such as the Head of Internal Audit, the Head Legal Affairs and the Head of IT. The Supervisory Board is actively kept informed of the latest trends in the media world, particularly in the digital domain, and the Supervisory Board also contributes topics for discussion and knowledge relating to these areas. In addition, during the past year, members of the Supervisory Board completed various courses and seminars on topics that are relevant to TMG or to the performance of their activities as Supervisory Board members. 2016 once again was a year with challenging market conditions and with many changes to the organisation designed to better prepare TMG for the future. That has required a great deal of effort by many. We would like to thank the employees of TMG for the manner in which they performed their duties in 2016. We hereby present the report, the balance sheet as at 31 December 2016 and the income statement for 2016 with explanatory notes, as compiled by the Supervisory Board, also temporarily charged with the executive functions. The financial statements have been audited and approved by Deloitte Accountants B.V. in Amsterdam, as stated in the auditor’s report included in this annual report. 1. The 2016 financial statements be adopted as set out in the documents presented. 2. The Executive Board be granted discharge for the policies pursued in 2016. 3. The Supervisory Board be granted discharge for the supervision exercised in 2016. At the beginning of 2017, Michiel Boersma was prevented from carrying out his task as Chairman of the Supervisory Board due to illness. His role as Chairman of the Supervisory Board is temporarily being assumed by the Vice-chairman of the Supervisory Board, Jan Nooitgedagt. His role as member of the Remuneration Committee and the Selection and Appointment Committee is temporarily taken over by Annelies van den Belt. The remuneration policy and the long-term variable component were adopted during the Annual General Meetings of Shareholders in 2014 and 2015, respectively. This section contains an overview of the key aspects of the remuneration policy and the way in which it was put into practice in the past financial year. The remuneration policy for the senior management of TMG focuses on attracting, retaining and motivating experienced and qualified managers and experts who focus on setting and achieving strategic goals, and on achieving operational objectives, with due consideration to market and social trends. The AGM adopts a policy relating to the remuneration of the members of the Executive Board, with due consideration to the provisions of the applicable laws. The Supervisory Board submits a proposal concerning the remuneration in the form of shares and/or rights to shares, for approval by the AGM. Since the adoption of the remuneration policy at the AGM of April 2014 and the adoption of the change to the long-term variable component at the AGM of 23 April 2015, there have been no changes to the remuneration policy. The remuneration and the additional terms and conditions of employment for every member of the Executive Board are determined by the Supervisory Board, following consultation with the priority shareholders and with due consideration to the remuneration policy. The remuneration of the members of the Executive Board comprises a fixed and a variable component. Each year, the Supervisory Board decides on any adjustment and/or indexation of the fixed remuneration component. In terms of the (short-term and long-term) variable component, the Executive Board each year formulates draft objectives for the next financial year and submits these to the Supervisory Board for approval. These objectives in part focus on the long-term objectives of TMG and its affiliated companies, and are in accordance with the company's risk profile. In addition to the fixed and variable components, the Supervisory Board may decide to award an additional bonus and shall render account of any such award at the AGM. The additional bonus is paid in cash. In setting the remuneration of the individual members of the Executive Board, the Supervisory Board takes various factors into account within the framework of the general remuneration policy, such as the required competences, skills and responsibilities of the relevant director. In addition, the potential impact on the pay ratios within the company are taken into account. The fixed component ('basic salary') consists of the annual salary, including the vacation allowance, paid in 12 equal instalments. The variable short-term component consists of a maximum of 50% of the basic salary, 60% of which is determined on the basis of the degree to which the collective objectives of the Executive Board are realised and 40% on the basis of the degree to which the individual objectives of the relevant member of the Executive Board are realised. The collective objectives of the Executive Board for 2016 were financial and strategic in nature, and were also related to the elaboration of the new organisation structure. In addition to the above-referenced collective objectives, the individual objectives for 2016 for Mr Van der Snoek consisted of sustainability, HR, and brands and product development. The individual objectives for Mr Epskamp were related to risk management, realisation of the outsourcing of printed matter and performance management; once again over and above the above-referenced collective objectives. In the opinion of the Supervisory Board, Messrs Van der Snoek and Epskamp achieved 50% of the collective and individual objectives for 2016. For 2016, this translates into a short-term variable remuneration of € 114,188 for Mr Van der Snoek and € 95,156 for Mr Epskamp. In outline, the long-term variable component is as follows: The long-term variable component is conditionally awarded in advance for the entire four-year performance period. The performance period runs from 1 January 2015 through to 1 January 2019. The long-term variable component is awarded in the form of monetary units that reflect the value of the TMG share (‘Phantom Shares’). A Phantom Share in fact is a monetary unit that reflects the value of the TMG share. Settlement is in cash and furthermore the holders of Phantom Shares do not have any voting rights or meeting rights, nor are they entitled to receive any dividend. The Phantom Shares can be immediately awarded conditionally by the Supervisory Board at the start of the performance period. The number of Phantom Rights to be awarded conditionally is calculated as follows: four times 25% of the basic salary at the start of the performance period divided by the average TMG share price in the last quarter of 2014. On the basis of this calculation method, 74,013 Phantom Shares were conditionally awarded to Geert-Jan van der Snoek and 61,678 Phantom Shares were conditionally awarded to Leo Epskamp. The definitive award of the number of Phantom Shares takes place at the end of the performance period. Award takes place on the basis of the performance criteria agreed on at the start of the performance period. The performance criteria apply to the full performance period. At the end of the performance period, the Supervisory Board determines to what extent the targets set for the performance criteria have been achieved. Of the performance criteria, 70% consist of financial criteria and 30% consist of non-financial criteria. The maximum achievable unconditional award is 100% of the number of conditionally awarded Phantom Shares. Per 31 December 2016, the fair value of the conditionally alloted phantom shares amounts to € 4.75 per share. At the end of 2016, the obligation amounts to € 145,020. The amount of employee benefits recognised in the statement of profit and loss is € 68,362. The engagement contract of the members of the Executive Board includes a provision concerning a severance payment in the event of the interim termination of the engagement contract by TMG and/or in the event that the engagement contract is not continued after the agreed four-year period. This payment is equal to no more than one time the gross fixed annual salary and is calculated using the neutral sub-district court formula, as modified in 2008, in which factor B equals one gross fixed monthly salary. A severance payment of this nature shall not be owed in the event the interim termination is due to imputable acts or omissions on the part of the member of the Executive Board. The pensionable age of new members of the Executive Board is the State Pension (AOW) age and members of the Executive Board are entitled to participate in the Stichting-Telegraafpensioenfonds 1959 (Telegraaf Pension Fund Foundation). This pension scheme is an average-salary pension scheme with a surviving dependants’ pension on an accrual basis. TMG does not provide any personal loans, guarantees and the like to members of the Executive Board unless this forms part of the company’s normal conduct of business and then subject to the same conditions that apply to the entire personnel complement and after approval by the Supervisory Board. Relates to: lease expenses, expense allowances and maximisation of the pension contribution. For additional information on the Executive Board remuneration see Note10 of the explanatory notes to the Company Financial Statements. The amounts approved by the AGM of April 2015 were increased by 0.6% in 2016 (this percentage is based on the CPI index). TMG's Executive Board is responsible for the risk management and internal control systems. In the Strategy and Risk Management sections of the Annual Report, the Executive Board describes how it has structured the supervision and monitoring system for this purpose. The results of the risk management and internal control system, as well as the findings of Internal Audit and the external auditors, are regularly discussed by the Audit Committee in the presence of Internal Audit and the external auditor. The Supervisory Board is kept informed of these discussions. During 2016, TMG took various steps to increase the maturity of TMG's internal controls, including the follow-up to the 2015 management letter and the development of the new 'IT Key Controls for the Provision of Information Control Framework'. For this purpose, an IT Control Framework was developed using a structured approach and attention was devoted to information security, one of the spearheads of the former 'IT in Control' project. In 2016, in addition to developing a new IT Control Framework, TMG also devoted attention to increasing awareness relating to information security and security tests were conducted by an external party. In spite of the above-referenced improvement actions, shortcomings in the IT environment were once again observed this year. As a result, it was not possible to fully rely on the internal control environment and data-oriented controls by the external auditor were necessary. The above-referenced shortcomings were related to a number of systems that are lacking the function separation enforced by the technical system, as well as other automated controls. These shortcomings primarily relate to obsolete systems and will be mitigated once these systems are replaced. However, the turnaround time required to replace obsolete systems is negatively affected by organisational changes. In addition, TMG currently has a relatively large number of (manual) detective controls (after-the-fact). However, in general it is more efficient and effective to implement automated or preventive controls (in advance) to cover the identified risks, since manual after-the-fact controls generally are not sufficiently detailed and accurate enough to effectively cover the relevant risks. In short, in spite of the increased quality of the internal controls, there continues to be a number of recurring findings of a relatively high priority. The Executive Board is of the opinion that in accordance with Best Practice Provision II.1.5 of the Corporate Governance Code, the internal risk management and control systems – with due consideration to the above-referenced observations – provide a reasonable degree of assurance that the financial reporting does not contain any material misstatements and that the risk management and control systems – keeping in mind the above-referenced observations – functioned as expected during the reporting year. the annual report presents a true and fair view of the position on the balance sheet date, the performance during the financial year of the issuing institution and that of its affiliated companies, the figures of which are included in its financial statements, and that the annual report describes the material risks facing the issuing institution. In connection with the suspension of the Executive Board per 5 March 2017, this In Control Statement is signed by the Supervisory Board, which is temporarily charged with this executive task in accordance with TMG's articles of association. As, for health reasons, Michiel Boersma is temporarily unable to performs his tasks, his role, including the signing of this annual report, is being fulfilled by vice-chairman Jan Nooitgedagt. Risk management is an integral part of TMG’s day-to-day management. TMG's internal risk management and control system is disseminated by top management and deployed to gain insight into and manage the strategic, operational, financial and compliance risks. TMG considers a well-functioning internal risk management and control system an essential management tool for achieving its strategic goals. TMG’s objective is to identify, evaluate and manage the events (opportunities and threats) that can affect the realisation of the strategy and objectives. The internal risk management and control system is described in TMG’s Risk Management Policy. This policy is evaluated by the Executive Board each year and adjusted if necessary. The internal risk management and control system is based on the COSO ERM framework, distinguishing between strategic, operational, financial and compliance risks. The acceptance of an acceptable level of risk enables TMG to optimise its allocation of resources. This is in part desirable in the context of the development the organisation is experiencing. TMG makes well-considered choices on the basis of objectives, risks and resources. These considerations take place on a daily basis throughout the entire organisation. In this respect, the strategy defined by the Executive Board, including the associated risk appetite, serves as a guide. In its internal risk management and control system, TMG makes a distinction between strategic, operational, financial and compliance risks as shown in the overview 'Risk appetite' that reflects the risk appetite for each type of risk. The internal management and control system forms part of the planning and control cycle, where risk management is a continuous process rather than a standalone function. The three-year cycle used by TMG up until the end of 2017 has been replaced by an annual risk-based approach. This means that an entirely new plan is prepared each year, and that the cycle whereby each risk analysis must be followed by an audit and each audit by a follow-up audit has been dropped. This provides more flexibility in terms of the annual planning and results in a more effective use of available resources. Effective 1 January 2017, the risk analyses will be planned in accordance with the principle of exhaustiveness: each business unit in the audit universe must complete a risk analysis once every three years. This relatively high frequency is desirable given the number of organisational changes as a result of which departments and responsibilities are regularly subject to change and therefore have to be re-evaluated. The risk management and control system falls under the supervision of the Supervisory Board's Audit Committee. The most important risks and risk management progress are regularly reported and discussed with the Executive Board and the Audit Committee. TMG each year evaluates its internal risk management and control system and assesses how it can be further improved. In 2016, two Strategic Risk Management Workshops were conducted. In these workshops, the key strategic risks are formulated by the Executive Board, Business Unit directors and the heads of staff departments. Control measures and other measures were defined for each of these risks and action owners were appointed. Progress is monitored on a quarterly basis and the results are reported twice a year to the Executive Board and the Audit Committee. The outcome of the most recent workshop is described further up in this section. In 2016, new employees completed an e-Learning Module concerning the rules of conduct. This training forms part of the new employee familiarisation programme. Furthermore, in 2017, additional in-depth e-Learning modules will be rolled out for specific subjects, such as fraud, corruption and privacy. a) to increase existing insight into the quality and effectiveness of the internal risk management and control system by management and the Executive Board. b) to strengthen the rationale for the Executive Board's In Control Statement in the annual report. c) to clarify the usefulness and the functionality of the existing management tools and increase awareness among managers of available management tools. d) to increase insight into the areas for improvement and the implementation of improvement actions. The In Control Statement must be submitted every six months by the management boards of the Business Units. The Compliance Officer and Data Protection Officer positions have been filled within the Legal Affairs department. Furthermore, in 2016, the department organised training sessions on Privacy Legislation and Competition. The Information Security topic was specifically added to the Risk Management Cycle. The associated risk analyses are performed by the IT Risk & Information Security Management department. In October 2016, the IT Assurance Framework was formalised. This is a reference framework for providing supporting guarantees relating to the quality aspects reliability (integrity, correctness, timeliness, completeness, authenticity), availability (continuity) and exclusivity (confidentiality, privacy) of the (automated) information provision facilities required for the primary business processes. The Internal Audit and Risk Management department was given an additional FTE, primarily for the purpose of conducting regular monitoring meetings that form part of the current risk framework. During the year, a quarterly survey is conducted during which not only the developments of outstanding observations (Internal Audit, Risk Management and External Auditor) are discussed, but also those pertaining to the strategic and tactical risks (top three). The relevant control measures and the implemented mitigating measures are subsequently included in the regular evaluation of the identified risks. This approach improved the discussions and resulted in a dynamic approach. The results were reported to the Executive Board and the Audit Committee. In 2016, the merger of Internal Audit and Risk Management was evaluated and it was decided to continue the merger. Internal Audit and Risk Management has a facilitating role in support of the risk analyses. Where necessary, Internal Audit's independent role is safeguarded. In 2016, there was coordination between TMG and the Dutch Tax and Customs Administration concerning the evaluation and the existence and operation of the internal control measures relating to the fiscal monitoring performed by TMG. Key risks for 2016 that are no longer classified as a key risk for 2017. The risks below are linked to one of the COSO risk categories (strategic, operational, financial and compliance) and to the three strategic objectives. The explanatory notes to the consolidated financial statements include the description, quantification and control of the identified financial risks. Insufficient ability to guarantee an unambiguous and stable ICT environment in terms of the continuity of business operations. The ICT sourcing policy and architectural principles were recalibrated in 2016 and form the basic principles for the provision of ICT services. In 2016, most of the TMG workstations were replaced by an Apple workstation. As such, the Windows XP workstations and the risks arising from this platform are a thing of the past. The CCI editorial system was put into operation in 2016. The implementation of the CRM/subscription system was deferred to the end of 2017. An IT Assurance Framework was developed in the context of process management with the objective of providing a supporting guarantee for the reliability, availability and exclusivity of the (automated) information provision facilities required by the primary business processes. The framework is based on international standards, including the ISO 27002 (code for Information Security). Work on the implementation of this framework was started in 2016. This will be continued in 2017 and 2018, with the objective of completing the implementation by the end of 2018. At the end of 2016, the ‘Resourcing Hosting Infrastructure and Data Centres’ programme was introduced with the objective of outsourcing the internal hosting to an external party and an external location. In addition, the current internal data centres will be closed or reduced in size. The focal point of the work will be in 2017, with the full disassembly/downscaling of the data centres occurring in the first half of 2018. In the digital domain, the apps and the web portfolio for virtually all main brands were subject to new development and renewal. In addition, the future architecture will be defined with the objective of safeguarding the technology choices. In 2017, the aim is to create more stable development teams and cooperation with business partners, so that the focus can be placed on optimizing business value. Insufficient ability to secure data and manage data quality within the applicable laws and regulations. As a result of the technical risk assessments conducted in the first half of 2016, the ‘Rationalisation of Websites and Domain Names’ project was implemented for the purpose of cleaning up the websites and domain names that do not comply with laws and regulations or that contain technical vulnerabilities. In 2017, further steps will be taken in rationalising applications and systems. In 2016, the organisation acquainted itself with a ‘Security Operations Centre’ designed to provide insight into and continuously monitor TMG’s online threats. The Centre makes it possible to anticipate attacks and to take action to avert these attacks at the earliest possible stage. In 2017, the Centre will structurally be given 2016 control and other measures (actions undertaken throughout 2016) and 2017 control and other measures (actions to be taken in 2017 to manage/mitigate risks) form and substance. At the end of 2016, Box was implemented to store data securely and in a structured way. This significantly reduces the local storage of data and provides TMG with access to an unlimited secure storage capacity with an audit trail. In addition, in 2016 there was a strong focus on personnel awareness. As part of this initiative, various policy documents were developed, including a renewed information security policy and a data classification policy. In July 2016, the top 50 at TMG attended a privacy awareness training session. In addition, the ICT Service Desk, where any initial reports of a possible data leak may arrive, was trained. The Data Protection Officer (DPO) position was formalised. TMG’s cookie wall was standardised and will be rolled out group-wide. In 2017, further attention will be devoted to business continuity and the requirements to be met by suppliers. In relation to the increased outsourcing of ICT services, the effective coordination of suppliers is becoming increasingly more important. In addition, an e-learning awareness training course will be rolled out and custom training sessions will be given by the DPO to specific employees who often work with data. (Innovative) Culture: the insufficient ability to generate the required (innovative) cultural change, norms and values, and leadership. Be flexible; adopt a flexible attitude and adapt to the continuously changing environment. Give feedback; enter into discussion with each other and support one another’s development. Demonstrate ownership; be an active part of the organisation and take responsibility. The current and desired behaviour has been mapped out for these three factors. In the near future, the desired behaviour will be expressed in the form of success factors. This will subsequently be discussed with the Human Resources Business Partners and an action plan will be developed. One of the first actions is the application of the theme and the success factors in the leadership session to be held at the beginning of 2017. This also represents the operational start of this project. Through means of various innovative initiatives (for example, OTT) and the presentation of innovative developments, for example during the 24/7 presentation in the fall of 2016 and in January 2017, awareness of the desired and required innovation has increased. Insufficient ability to speed up the development and realisation of new business models for the purpose of counteracting the decline in traditional revenues. TMG identified 35 initiatives focused on TMG’s brands. A distinction was made between running business initiatives, line extensions and new business initiatives. The brand plans are key in this respect. In 2016, a number of key sites/apps were completed: Telesport.nl; GooienEemlander.nl; Privé magazine app, DFT app. TMG entered into a partnership with Singularity University. Effective 30 September, Radio Veronica, Radio 10, Sky Radio and Radio 538 officially joined forces, resulting in the new Talpa and TMG radio company. The OTT plans were completed and linked to Telegraaf 2.0. Speeding up the implementation of new initiatives continues to be an area for improvement. To put greater pressure on fast and effective product development, the marketing organisation will be organized differently. The marketing request for advice for this purpose was submitted in Q4. For the already completed initiatives it is evident that in particular capitalising on greater reach and quality reach continues to be an area of focus. There is a need for a dedicated sales team that can sell the new propositions. This will be given substance in the new Sales organisation. Preparations were made for this in Q4. The 2017 brand plans include current and new initiatives. The brand teams (publisher – editorial board – commerce incl. controlling) collectively prepared their draft plans and presented them to the Management Board. All brand plans and initiatives devote attention to the five strategic TMG themes: OTT/video, data, digital, events, natives. The Executive Board approved the brand plans and the budget estimates in Q4. Innovation is encouraged within Digital X by engaging in 100-day sprints. This has resulted in various initiatives, such as plans for TMG Games and Speurders.nl that are included in the 2017 budget estimates. Various vision/strategy and conceptual inspiration sessions have been organised. The Talent Programme was initiated in Q3. Innovation and digital development form an important part of this programme. Insufficient ability to resume business operations in a timely manner after they are affected or interrupted by unexpected incidents. TMG supplies products and services to various stakeholders. To be able to also supply these products and services in the event of emergencies that have a major impact on the (physical) organisation – for example a fire as a result of which the building and the ICT resources are no longer functional – it is important to have a well-organised business continuity management (hereinafter: BCM) function. In 2016, it was decided to re-evaluate and further operationalise the various contingency plans. The objective is to enable processes to continue to operate as ‘business as usual’ as possible under abnormal circumstances, naturally with due consideration to the human factor. During 2017, effort will be devoted to the further organisation of the BCM in line with the TMG strategy and organisation. The tasks and responsibilities of the various crisis teams will be described and assigned. Business Impact Analyses will be conducted for the most critical processes. In addition, various scenarios will be evaluated and elaborated. The effects of the BCM measures taken will be tested in the second half of 2017. Insufficient ability to make costs flexible in areas where competitors are able to do so. At the beginning of 2016, the reorganisation of the printing facilities was completed, as a result of which part of the printed matter is now outsourced. This included a shift from fixed to variable costs. This provides TMG with the possibility of immediately reducing costs in the event of declining volumes. The aim here is to use the company’s own capacity to the maximum possible extent. In the 2016 semi-annual report, TMG announced plans to reduce the 2015 cost base by at least 20%. During the investors’ day at the end of September 2016, this was further refined to at least € 90 million (excluding the effect of cost increases due to investments in new initiatives or business models). At the same time a number of measures were announced, including a reorganisation and FTE reduction of the Sales department, the centralisation of the activities in Amsterdam, the closure of the Alkmaar office and a reduction in the number of locations, the review of the weekly newspapers portfolio, and the investigation and consideration of the outsourcing/ sourcing of non-core and supporting activities. In August 2016, a new Social Plan was agreed upon with the trade unions that in particular provides for supporting employees in finding new work. At the end of 2016, a new order system was implemented, which makes it possible to more effectively make purchases at ultimately lower costs than under the existing system, particularly by giving employees better insight into contractual agreements with suppliers and by providing access to the catalogues of preferred suppliers. Furthermore, there are better advance controls over expenditures instead of controls after-the-fact. During 2016, TMG on multiple occasions consulted with the different works councils and trade unions and included them in the development of the further cost reduction plans in order to create support for these plans. Insufficient ability to partner with external parties as a result of which (strategic) projects cannot be realized on time and the results are insufficiently secured. In 2016, a number of strategic partnerships were entered into. An example of this is the partnership with Apple concerning the continued development of an OTT channel on Apple TV. The transaction with Talpa concerning Sky Radio Group was approved by the Works Council in Q3 and the closing has taken place. The strategic partnership between Talpa and TMG relating to radio, TV and the internet is increasingly taking shape (for example, cooperation in the area of OTT). Other examples of partnerships entered into are: KNRM and Singularity University. Solid progress is also being made in other areas and further preparations are being made in achieving (strategic) partnerships. The reorganisation of the printing facilities was completed at the beginning of 2016. The most efficient method of outsourcing printed matter and/or parts of the financial administration is now monitored on a continuous basis. This involves a constant consideration between insourcing/retention or outsourcing, with due consideration to the associated costs, including distribution costs. A separate department will be set up within the new TMG organisation with responsibility for the existing and future TMG participations. The management of, for example, Radio and ProMille Media will take place here. The Executive Board is aware that it is not possible for any risk management and control system to provide an absolute guarantee for achieving the enterprise's objective, nor can this system prevent errors, fraud or violations of laws and regulations. Each year, the external auditor reports to TMG’s management boards and the Audit Committee on its findings related to the administrative organisation and the internal controls. TMG employs an internal control framework that identifies the potential risks together with relevant and proper internal control measures. The key control measures are tested by employees within TMG during the reporting year. Within TMG there are a significant number of manual detective control measures instead of more preventive and automated control measures. While improvements were made in this area during 2016, it will require additional attention in 2017. The above-referenced process and system projects will devote explicit attention to this.